Strype truck accident lawyers will work closely with you, making sure you understand all of the benefits available to you and working diligently to secure a verdict or settlement that takes care of your short-term and long-term needs. At Strype Injury Law, our truck accident lawyers work closely with truck accident victims to ensure they receive all available benefits, including accident benefits, disability benefits and third-party liability or tort benefits. Truck accidents often result in catastrophic injuries, including spinal cord injuries and serious orthopaedic injuries that require significant rehabilitation and compensation. Trucking companies usually carry large amounts of third-party liability coverage, so a significant amount is potentially available to injury victims. However, they also have substantial legal resources and will fight aggressively against personal injury and wrongful death claims. After a truck accident, the clock begins ticking right away. After an accident, you will need to file a report and request accident benefits within 30 days of the accident. If you are a family member of an accident victim who is still hospitalized, it is important to talk to one of our personal injury lawyers as soon as possible in order to meet important deadlines. We are experienced trial lawyers who have represented clients in more than 250 trials. We understand what it takes to be successful in proving liability in truck accident cases. Our truck accident lawyers will examine every aspect of the case, including licensing requirements, maintenance records, truck safety and driver negligence. 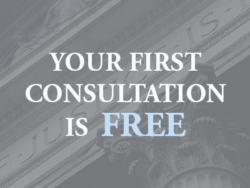 Contact us for a free injury case evaluation.